As children grow into the tween and teen years, their needs and interests change. And these changes are reflected in their bedroom. 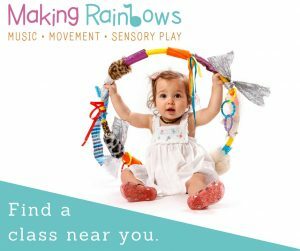 What once was an imaginative play haven, pairs back to being a place for rest, study and a safe retreat. 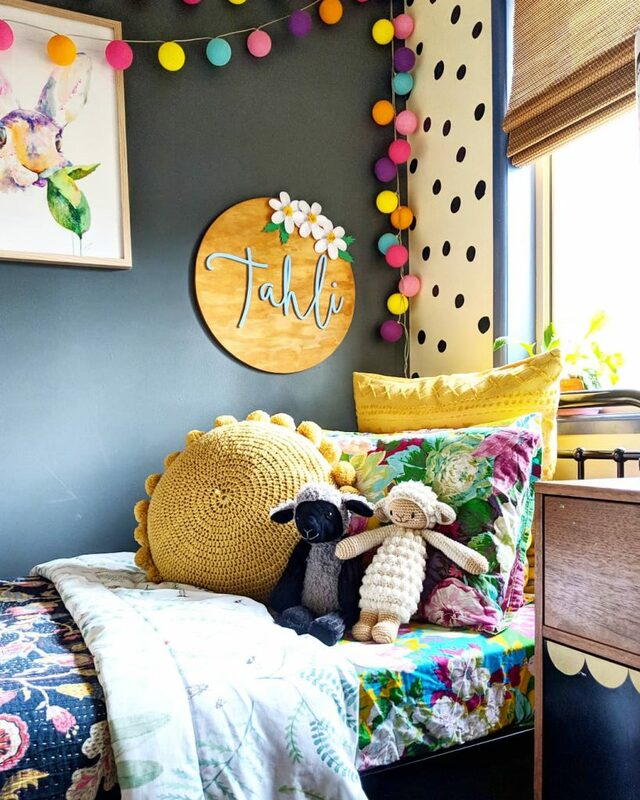 Gone are the cartoon wall motifs and stuffed animal toys, replaced with quotes, memorabilia from childhood and new décor that correlates with their personality. 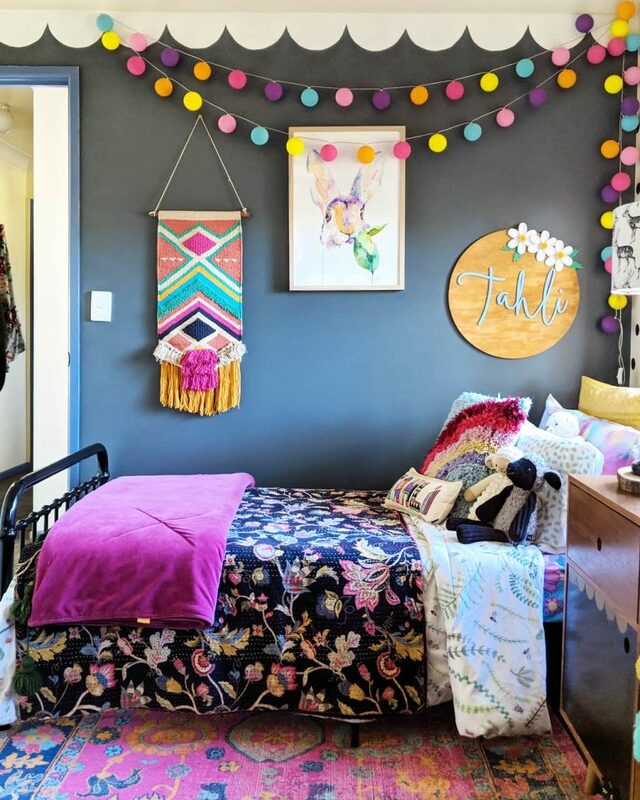 Your teen will have a good idea on how they want their room to look. 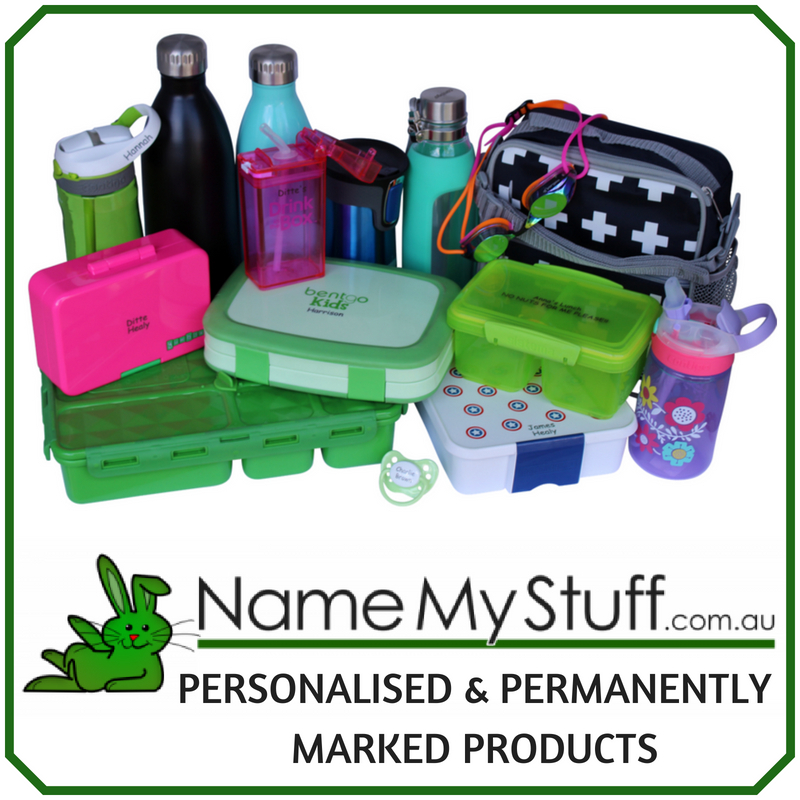 They will be able to pick colours and themes to suit their tastes. There’s also nothing wrong with a blank canvas and using the linen and décor to define your teen’s personal style. 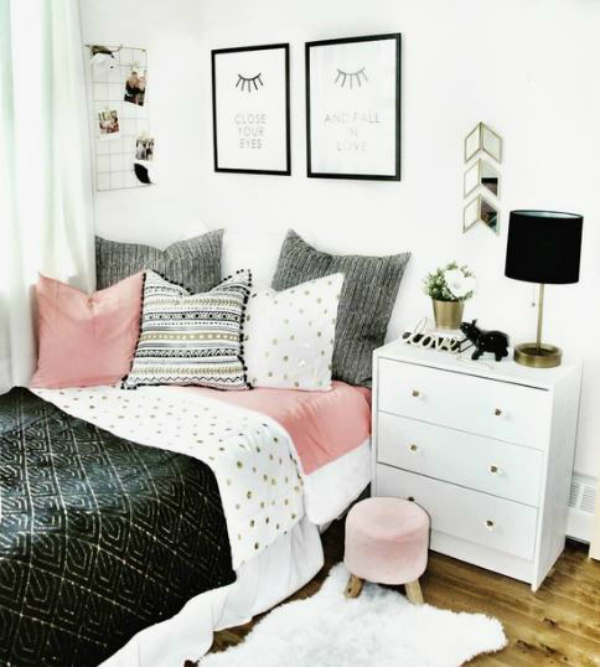 Pinterest and Instagram are certainly the places to go for inspiration, but we have collated some teenage bedroom ideas to inspire with tips on transitioning a child’s bedroom into a teen retreat. 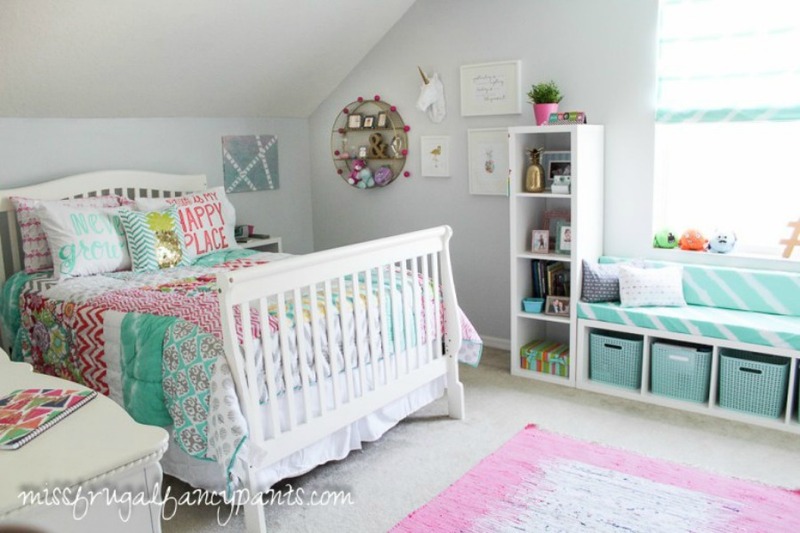 This tween bedroom was created by Kara from Miss Frugal Fancy Pants. 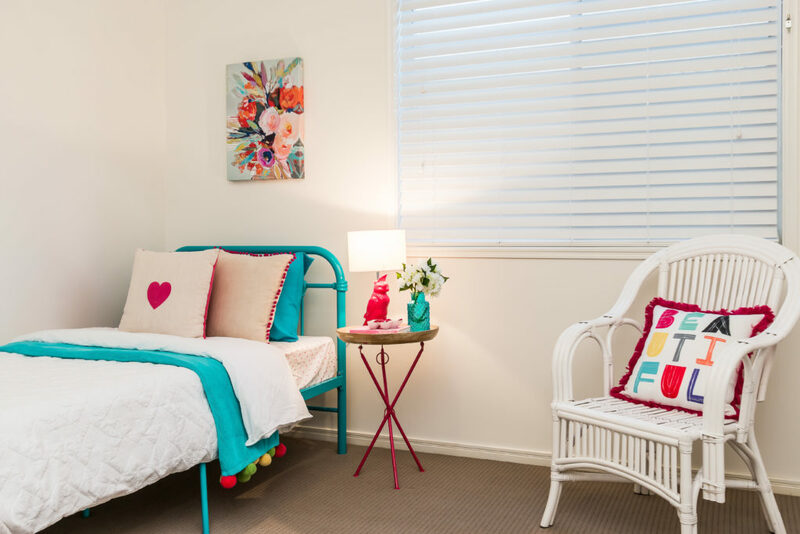 What was a shabby chic children’s bedroom, got a revamp for her daughter who wanted a more grown up feel in her room. 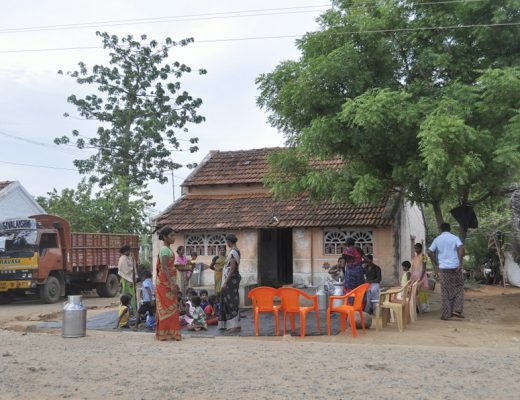 To limit the costs of a full change over, the same furniture was used. Kara bought new linen, a new rug and intermixed decor pieces with childhood favourites to keep the room unique to her daughter. I love the window seat with extra storage. A great place to sit with friends or read a book. 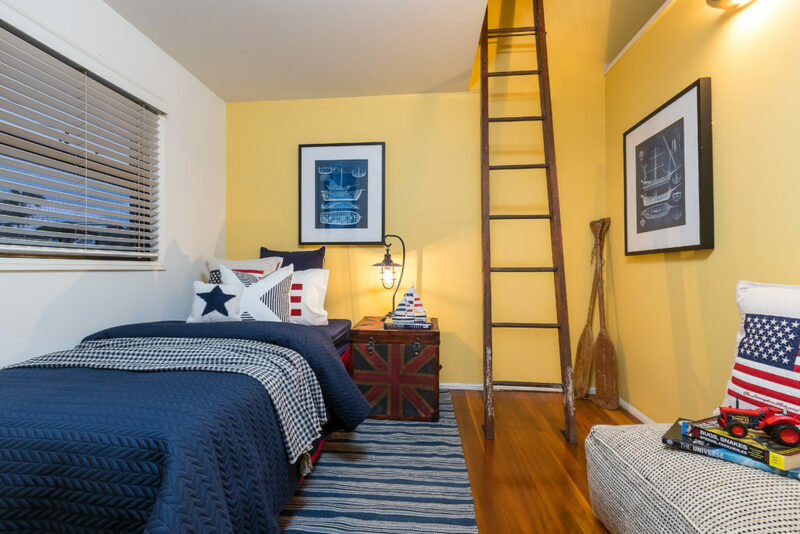 Katrina Chambers has written some tips on how to style teenage boy rooms as she is a mum to three teenage sons. Her tips are to go timeless and less fuss with décor. She says keep things simple and opt for a larger bed. If you want to add colour, do it through the linen which can be changed easily and affordably. 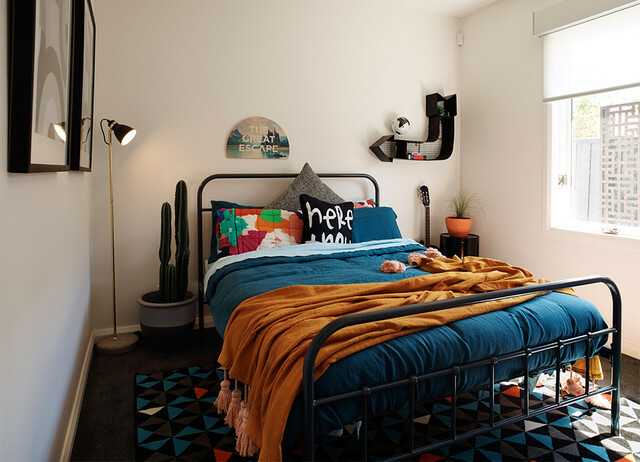 I adore this bedroom styled by The Hectic Eclectic. Full of colour and fun. This has been designed for a girls. The style embraces colour and texture through wall hangings and garlands. 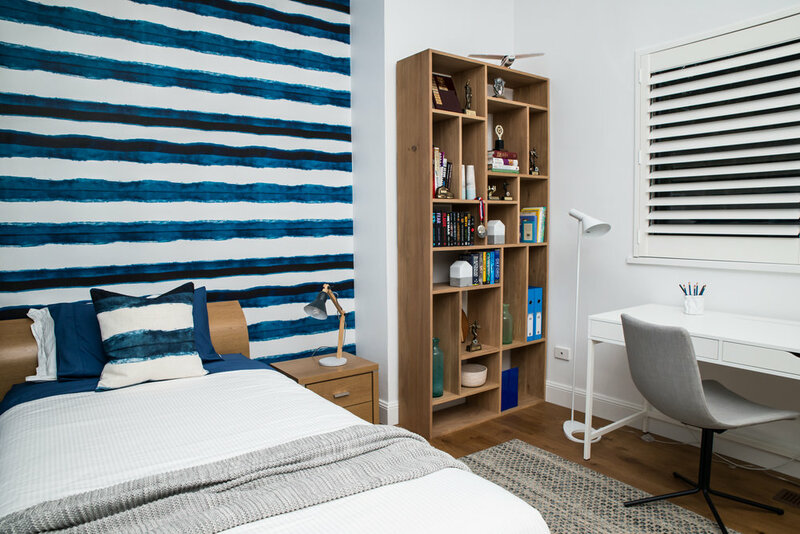 The furniture is simple, but the chosen décor and bed linens (such as Tilly & Otto floral sheets & Lummi Lights) add a fun vibe to this bedroom, making it perfect for a teen. 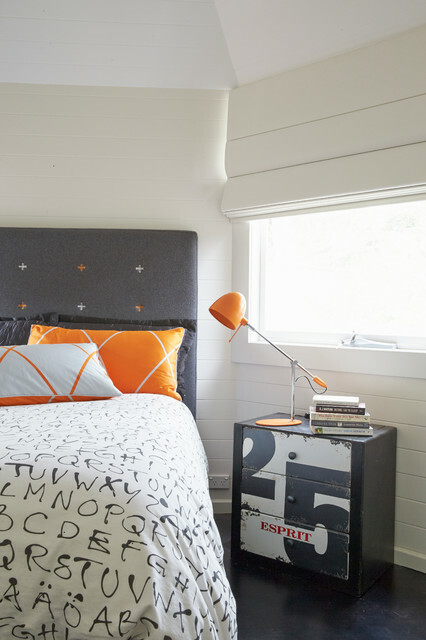 This bedroom styled by Cape Cod Design shows another way to embrace colour. If your child sleeps in a steel frame bed, spray paint it a different colour for a modern update. It’s easy to find decor and furnishing pieces when you have a theme in mind. 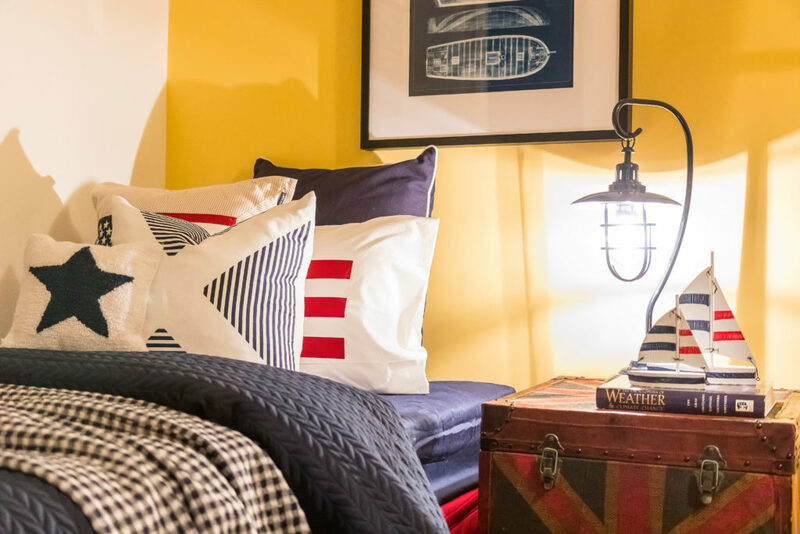 This nautical-themed bedroom from Cape Cod Design is delightful. 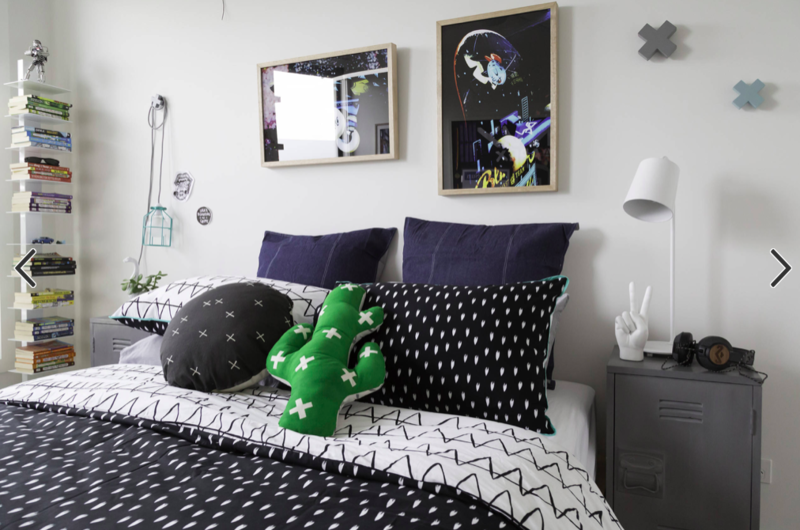 A monochrome base is a great place to start when designing a teen room if they aren’t sure what colour to have in their room. Add an accent colour with a cushion or artwork. A locker, wall hooks and caged pendant light gives this room an industrial tech feel. Check out this inspiration from Hart Builders. 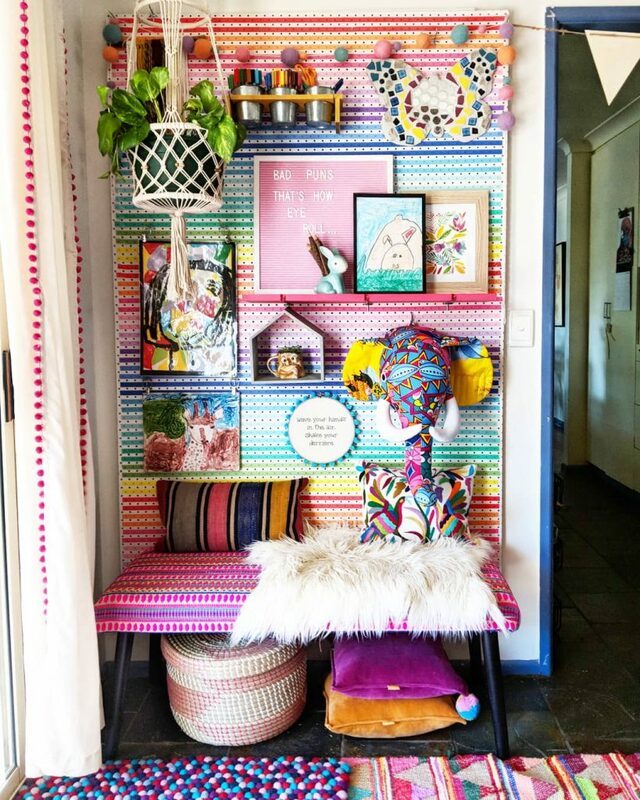 Recycle frames from childhood artwork with new prints and create a gallery way. This is another budget friendly way to stage a wall for a teen’s bedroom. Head over to Redagape to find out more. 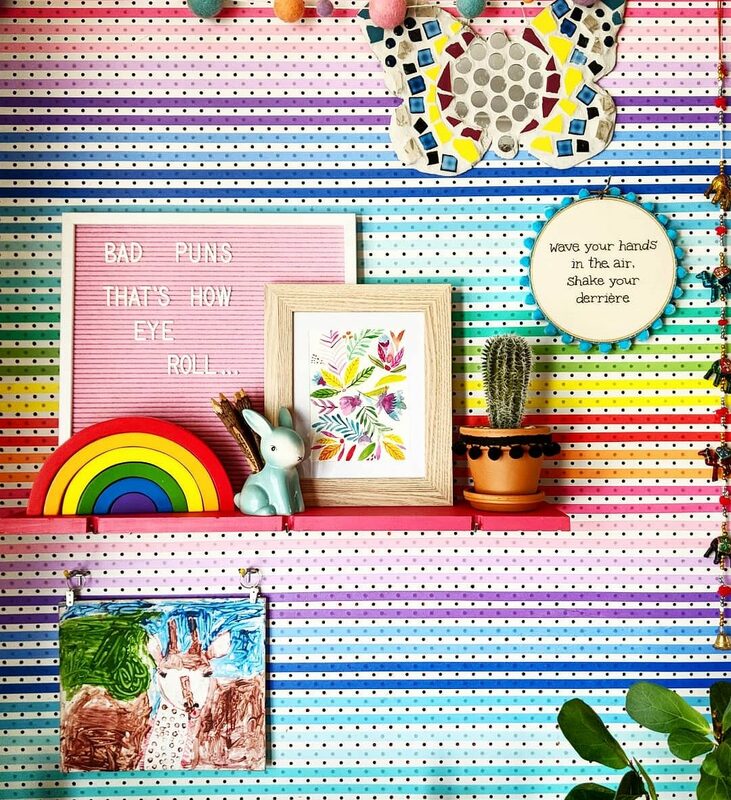 Another example is this adorable rainbow pin board from The Hectic Eclectic. 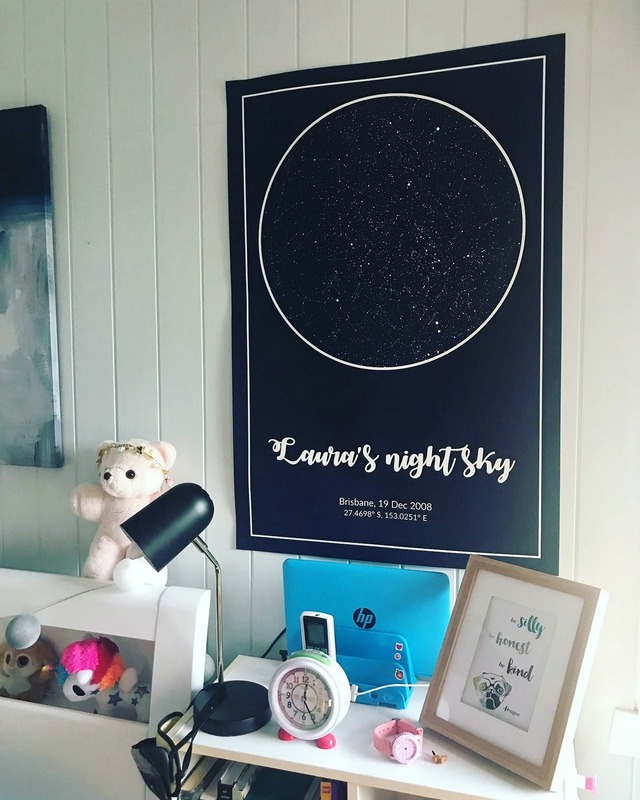 Nicole wrote for Be A Fun Mum about this lovely star chart image you can customise to suit, for example, the night of your child’s birth. 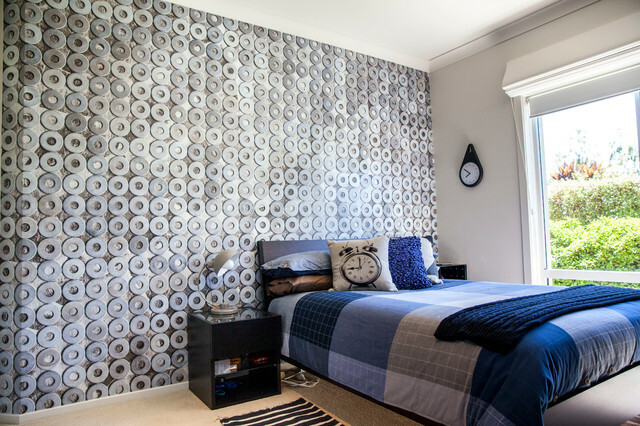 Decorate one wall with a mural or wallpaper to your teen’s interests and likes. Keep the linen simple to allow the wall to be the feature. This inspiration is from Omni Interiors. If wallpaper or a wall mural is not your teen’s style, a bedhead may be the hero piece in the room. Find one with button details or a bright colour to keep a young and fresh vibe in the room. Inspiration from Luisa Volpato. 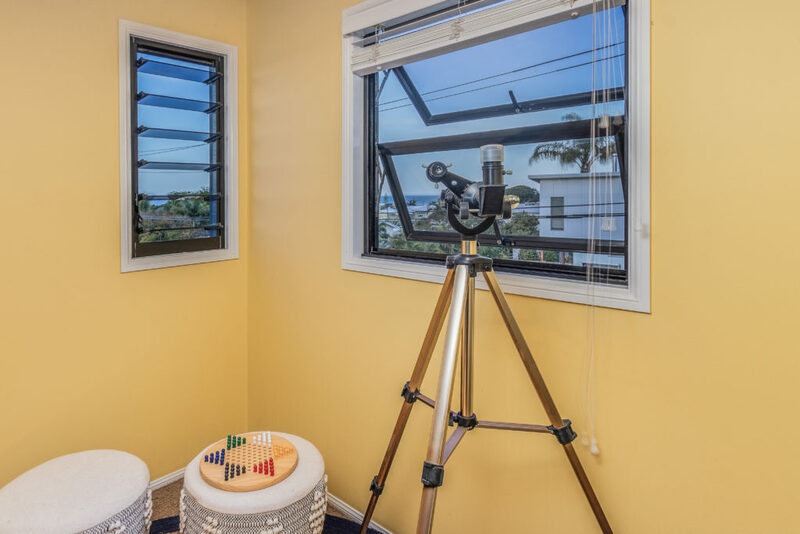 Storage furniture and a desk will be a must for your teen bedroom, unless you have a dedicated study area in the home. Slimline furniture will be your friend when positioning a multiple pieces in a bedroom space. Below is an example from Ioanna Lennox Interiors. Plants are a great way to bring nature into a teen bedroom. Heaven knows, the plants may improve the air quality in your teen’s bedroom too! If you are worried the plant may die from neglect, there are plenty of artificial options that look good too. 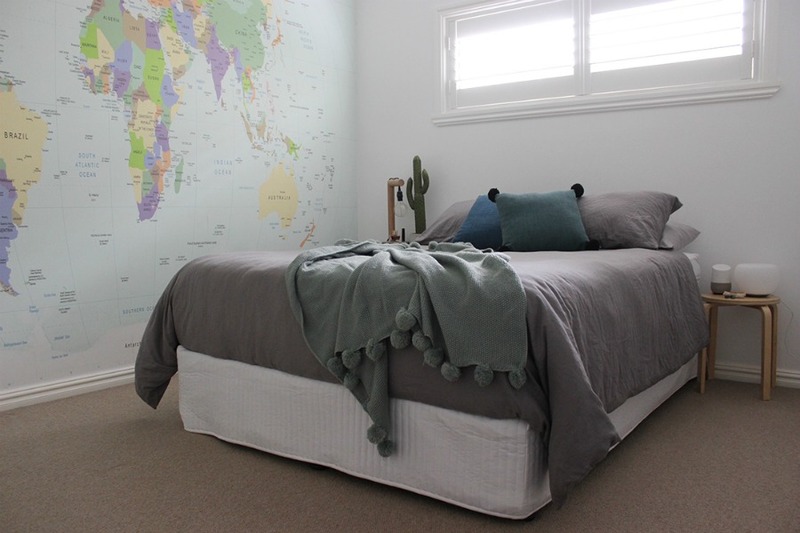 This cactus looks great in this bedroom by Godfrey Hirst. 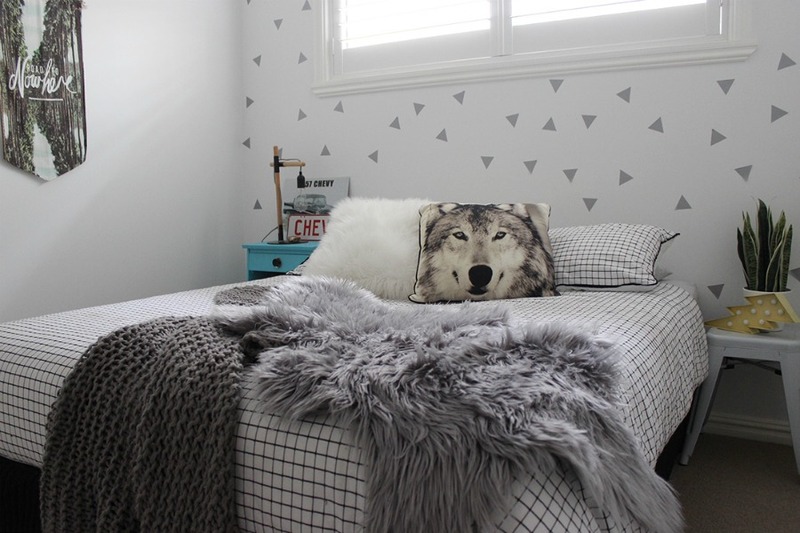 Quotes and wall sayings bring personality into a teen’s room. Quotes that encourage and motivate your teen are a great way to make it a bit personal. We love this example from @modern_mom_athome. Bec is a plumber and stylist, believing a girl can be both practical and stylish – at the same time. 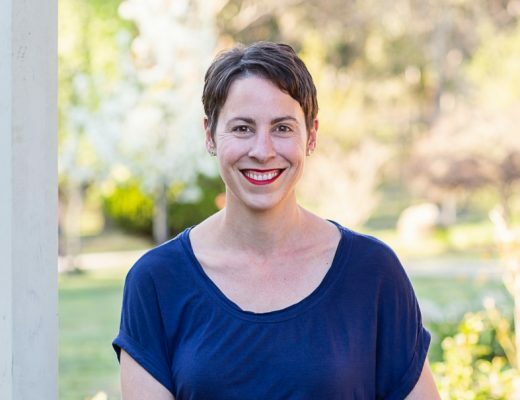 At present she is a stay-at-home mum and jokes that she changes more nappies than washers these days. She is a mum to three little girls (5, 2, 1) who she styles on a daily basis. Rebecca loves to read (when she can), shop for clothes (when she has spare cash) and simultaneously scroll through Facebook and watch Netflix (when she has time). Bec writes two blogs: The Plumbette (http://www.theplumbette.com.au) , which is her foot in the construction pie, sharing plumbing tips and lifestyle memoirs and Styled by Bec (http://www.styledbybec.com.au) , which offers fashion advice for busy mums that need budget friendly tips.